It’s really important for young entrepreneurs to plan a long-term business development strategy for their start-up business. One of the core elements to include in this strategy should be the strategy for the implementation of the protection of intellectual property. To make sure that the intellectual property rights of other persons are not breached. When using and, as will be seen below, registering a trademark, a design, a patent or a name of a company, it is important to check in advance whether the rights of other persons will not be breached. Every start-up business needs to asses the risks related to the possible court disputes regarding the breach of exclusive intellectual property rights of other persons. For example, after coming up with a trademark, one needs to check the databases of the countries, where this trademark is intended to be protected, in order to make sure that such a trademark or a similar one or the name of the company is not yet registered. A detailed search could significantly minimize the risk of future disputes. To take care of the registration formalities related to the acquisition of the protection of intellectual property. 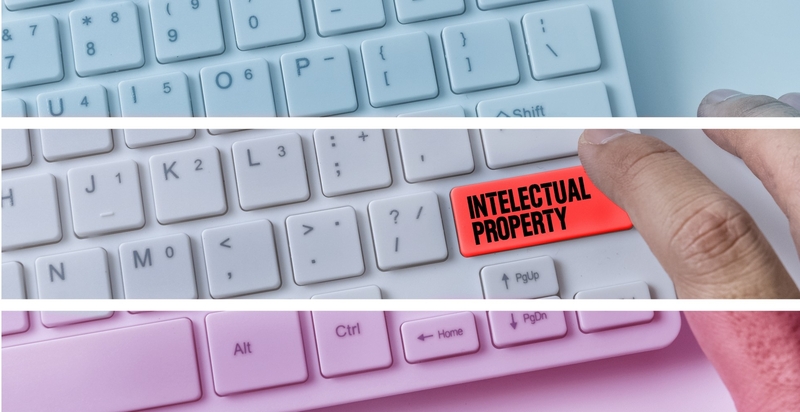 Intellectual property includes not only trademarks but also designs, patents, names of legal persons, commercial secrets, know-how, the author works such as computer programmes, databases and other objects. In other words, intellectual property is everything that is created by a human being. Different from the protection of author works, which originates from the moment a piece of work is created, some objects of intellectual property, e.g. trademarks, patents, design etc. become legally protected only from the moment when an application for their registration is being submitted to the competent authorities. Only after the registration of such intellectual property objects would it be possible to safely dispose of the exclusive (owned exclusively by the owner) rights and to protect them against third persons in certain territories, i.e. this may be a registration of a trademark in Lithuania, in the whole territory of the European Union, USA or China. Transfer of intellectual property rights to the start-up. For the start-up business to be able to use and dispose of the exclusive property rights vested in the intellectual property objects, it is necessary to agree that all intellectual property objects, created by founders of the start-up or other persons, who have contributed to the business development or the creative process of the start-up, also all property rights vested in them, would be transferred to the start-up. In addition to that, the employment contracts of a start-up should include a clause indicating that all property rights, arising from the results of intellectual activity (e.g. author works, patent, trademarks etc. ), which were created during the performance of working functions or professional duties of employees, belong to the employer, i.e. the start-up. Protection of intellectual property objects in dealings with third parties. Legal protection granted to the intellectual property objects provides, among other things, a basis for receiving financial benefit from them. The owners of exclusive intellectual property rights to, e.g. trademarks, patents, design, author works, have the right to enter into license agreements with other persons and allow these persons to use the ownership for a certain payment. This way a start-up may not only get the additional financial benefit but also increase the visibility and value of its activities as well as its intellectual property objects. Protection of commercial secrets and other valuable information of a start-up. Every company has and uses information which is specific and particularly important for the activities of that company. Different commercial secrets, know-how or other confidential information is essentially important to start-ups, the basis of whose activities is mostly new, not yet known, innovative ideas and various processes for the implementation of these ideas. Therefore, it is essential to ensure legal protection of such information also by informing the persons, participating in the activities of the start-up, e.g. employees, on the obligation to protect such information even after the end of the employment relationship. Every company should draw up a list of commercial secrets, listing valuable and secret information, and familiarize the employees with the obligation to protect it. The protection of such information should also be taken care of in the relations with the partners by including confidentiality clauses in agreements. The article is written by TRINITI.